I always take opportunity to add healthy ingredients into normal traditional dishes. 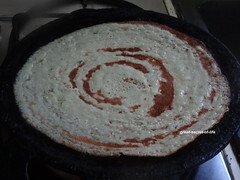 Dosa is one of the easiest traditional dish which can be twisted a bit without altering it's taste. 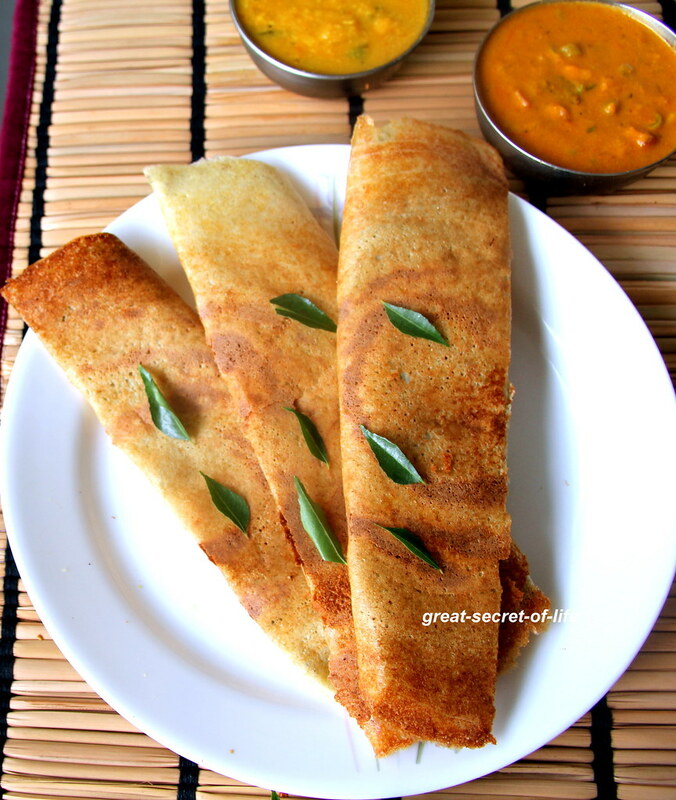 I used to make curry leaves dosa however in this recipe I substituted 1/2 of rice with kodo millet. 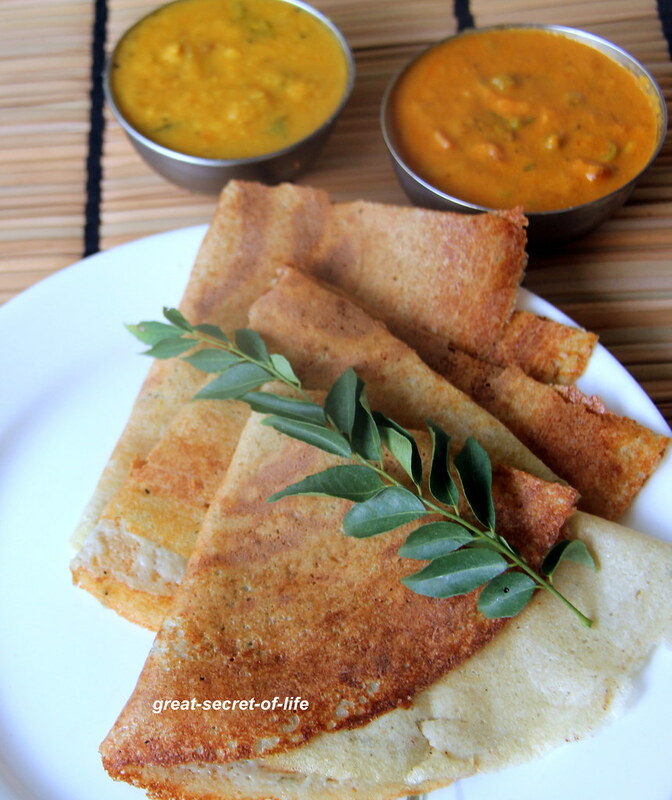 Curry leaves and millet has huge healthy benefits. This recipe is very attractive because of the cute green color. 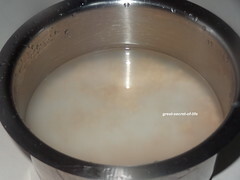 Remove the curry leaves from stem wash and drain the excess water. 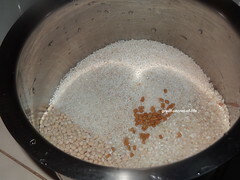 Drain the water from soaked rice/dhal. 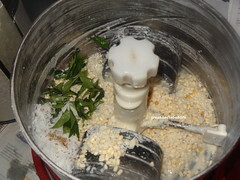 Grind it together with coconut, ajwan, curry leaves. 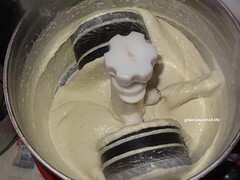 Grind till the batter is smooth and add Salt. Run for another min. Remove it from the grinder and let it ferment it. Heat the flat pan / tawa. 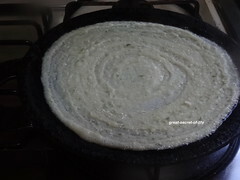 Pour one laddle full of dough and spread it outward into thin dosa. These pancakes look fantastic! 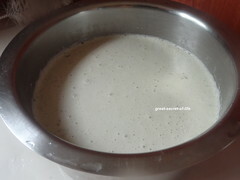 Is idli rice half cooked rice? 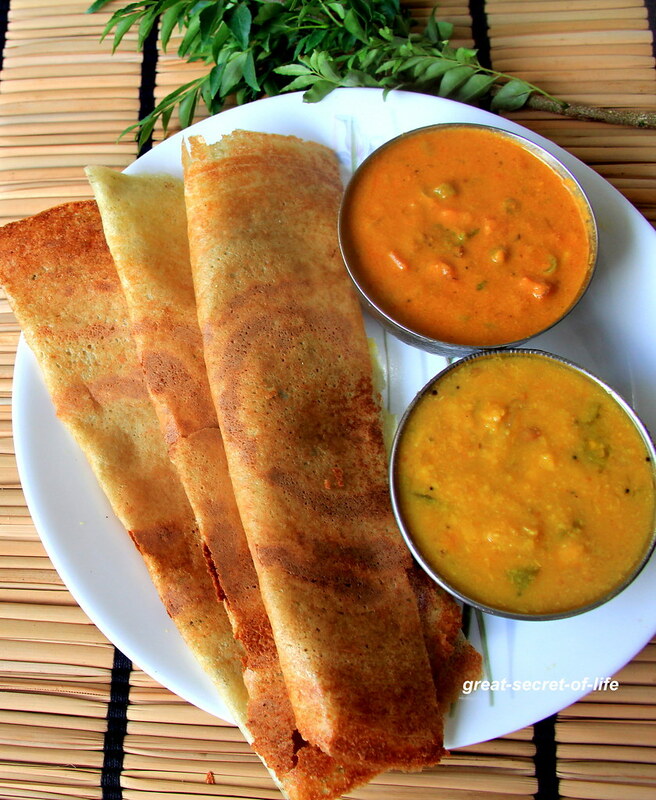 Can't wait to try this Veena..Looks so good and healthy. So crispy .Looks very healthy and tasty too.